Our local game group based in Buffalo, New York lost one of its members yesterday. His name was Tom Dunning he was 51 years old and he passed away on March 6th, 2010. I did not know Tom very well. But I do know that Tom's passion in life was board games. He loved to play games, and play games very well, and the people who knew him best were those that he played games with. Tom was very good at games. So good in fact that he was listed as the Boardgame Players association's top 25 players. He had earned over 500 laurels, which are earned for placing in the top places of competitive game tournaments. Tom knew the games that he played very well. If he had a game in his gaming suitcase, which he carried everywhere, it was likely he was better at it than you were. I started this list in memory of Tom. I have included the few things I knew about him and listed some of the games I knew he loved. Hopefully those of you who knew him better can add some of your memories of playing games and spending time with Tom. Tom was probably the gamer in our group who had played games the longest. 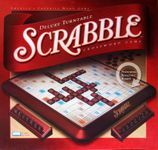 He started playing games in the old Avalon Hill bookshelf days and had fond memories of titles such classic titles as Rail Baron, Diplomacy, History of the World and Acquire. 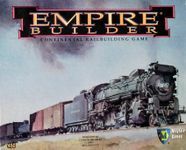 "My favorite game a couple of decades ago before I discovered the next generation train game: Empire Builder. It's a long play time for what it is but I still like it." Tom won the title of "World Champ" for this game at WBC in 2007. Tom learned and played a lot of 18xx games. He could glance at a board situation and within minutes explain to someone how to make a player go bankrupt. Tom loved thrifting. Weekly he would head to the local flea markets to see what treasures he could uncover. And he would tell us about treasures he discovered such as a mint copy of this game. "Classic ground breaking, genre defining game. The random setup board mechanic that you now see in lots of games keeps it fresh. Not in my top 3 but I think it's in my top 5." He won the tournament for this at Euroquest 2008. Tom liked auction games. Tom liked Knizia games. Tom therefore really liked this game. 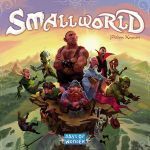 "One of Knizia's best games. Multiple paths to victory. Cool double auction game mechanics." I played this game in person and online with Tom. Im pretty sure he at least doubled my score in those games. Another game constantly in Tom's suitcase. Another great Knizia Auction game that he loved. Another game he had mastered. "Perhaps my all time favorite. Certainly in my top 3. I'll play this anytime!" Tom ran the event for this at WBC. He won the title of "World Champ" in back to back years in 2004 and 2005. Tom introduced this series to me and taught me how to play crayon rails, with a game of China Rails. This series has become one of my wife and I's favorite games as well, and I thank Tom for sharing his passion for this game with me and many others in our group. I look forward to teaching my daughter, who is now one month old, to play this game with us and when I do I'll remember Tom. By the way, Tom absolutely destroyed me when I played this with him. He was great at this game. "Knizia's best auction game, period end of story! More paths to victory and more granular than Hollywood Blockbuster/Traumfabrik or Medici. More of a 'pure auction' game than Amun-re or Hollywood Blockbuster/Traumfabrik. Deep strategy that few ever figure out entirely. One of my three all time favorites." It was also one of Tom's best games. To any who claim that this game is random and lucky, I wish you would have had the opportunity to play this game with Tom. Finally this was another of Tom's favorites. He mentions a top 3 in his comments including empire builder and Ra, I THINK this was the other of the top 3 but I cant totally confirm that. "An instant classic! After ~a half dozen Alan Moon attempts at a train game using little plastic train bits he finally gets it right." 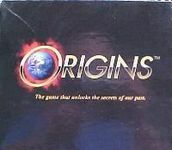 Tom introduced many people in the Buffalo area to gaming through this game. But it's fair to say he never went easy on any of them. It was rare to see him lose this game even with all of the random elements. I played this game once with Tom. He owned us. That's about all I can really say about Tom. He loved games. He loved to play games. He was one of the best in the world at playing some of these games of ours. It is a shame he is gone. The gaming community is lessened with his absence. Rest in peace Tom. Tom was an excellent Adel Verpflichtet player. I'm pretty sure he could even spell it. He was part of the BPA PBEM tournament that's ongoing as I write. He was the highest qualifier for the semi-finals that will begin in a few days. It goes without saying that we'll all miss him as we play. The Iron Meeple was an extremely good player. Our prayers are with Tom's family and friends. Tom was also a regular in the BPA's annual March Madness PBeM tournament. He missed the first tournament in 2003-04, but played in the six tournaments after that. He had just been knocked out of this year's event by Don Greenwood just a few weeks ago. Our little hoops world will miss Tom. Tom was a good friend. Our door was always open to Tom, and when our daughter was born, we started calling him Uncle Tom... He loved coffee and chocolate, especially when he could get it at a bargain. He was "thrifty" but a generous friend. I'm still shocked and sad, so I don't have much humor to share at the moment. But I will say that Tom wasnt all train games and randomness. He was an excellent Scepter of Zavandor player and sometimes when it was just me, Nick and Tom (and sometimes JT and Chris) it was anyone's guess who might win. He loved the auction component in the game. It became a light hearted joke about who would get the irresistable Mask of Charisma. Trains in space... I have many a memory of the times this game hit the table. Was introduced to the 3M original of this one by Tom in college. He loved the mechanic of the game and it was usually in the pile for a quick game back in the day. This was the last game I played with him. It was at the Rochester Boardgamers' meeting on January 16. 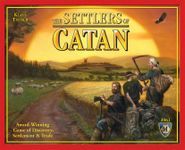 He caught on to the Settler similarities, but Tom, as usual never felt comfortable with a new game until he'd studied it. And he kept dropping one of his deck of cards and claiming he was missing one. We all kept pointing at his feet to show him he'd dropped it and he'd growl and pick it up. He ended up liking the game though and I'm sure under better circumstances he would have wiped the floor with in future plays. I first met Tom in 2005. i had just found the RBS group and had plans to go to Origin. we were doing some carpooling and one of them also needed some hotel space. i had a room for just my friend and myself, so Tom spent the weekend with us. 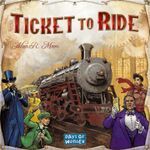 I learned very quickly that if i needed to find Tom, all i had to do was wander around the back corner of the boardgame area, where the train gaming was going on and I would find him. his Badge at Origins always identified him as "Traingamer Tom"
of course playing many games with him at RBS events came later, and i learned just how dangerous he could be. he wound up giving me this cool dice tower thingy (called "the incredible patent picker move maker machine", though i have no idea what game it comes from) that rings a bell when you roll the dice, and the figures from a robot football game, because he thought i could use them in my Heroclix modding. "You really have to be a negotiator and a shark in this game. In a 4 player game we played the winner had twice as much money as the second place player. The winner was also the one who started the most deals and became the boss on one or two others. You also have to be involved in as many deals as possible. It's too hard to accumulate the cards you need to do deals on your own (and defend them), the game ends by the time you can get close to having the right set of cards." I don't have to tell you who won, as this was exactly Tom's kind of game. This was the game, or maybe it was playing this and other games with Tom, that made me realize how much auction and bidding games are not for me. He got this game for himself not long after and played it quite a few times, thanking me for introducing it to him. Regardless of what was on the table, whenever I sat down with Tom I never expected to win. He was just that good and I was way out of his league. In four years of playing casually and sporadically with him, I might have won... once or twice. Rest in peace, Tom. Your friends from Buffalo Boardgames Meetup will miss you. This was a huge game from the proto-euro phase, where we were going to Baldy open gaming and started attending avaloncon. We played this often, several times with 7 or 8 people. There was bidding, including the kind tom and I like where you set yourself up to win a particular auction, and usually someone else did too. I think we all liked the bits too. Little people, roooobotts, ring ore, etc. I was somewhat sad when tom sold his copy, but it's my fault for never desktop publishing my own copy like i planned. I think in the end tom got serious value out of this game in all possible ways. I think Agricola might be one of the only games I won when Tom was playing. He'd only played once before, so it was my only chance to beat him. I'm sure he would've won next time we played. This was Tom's only geeklist, and my one main "Iron Meeple" experience. If you read far enough, I'm the "roommate #3 that is dead to the world". Tom and I did not play a lot of the same games, so my interaction with him was not as great as it could have been. In fact, he disliked some of the games I played so much that he would often leave early rather than play them. Well, the last game I played with Tom was Small World. Going into it, he expressed extreme displeasure at playing a game with this theme. Once the game started however, he liked the mechanics and surprised me by diving into the theme with full geeky abandon. Soon, he and I were aligned in dispensing with tactics and just crushing those stupid, flying elves. It was a surprising moment, since I expected him to hate the game, and one of my favorites from game night. Tom was playing the first opposed game of EiA I played. Post-RPG gaming (the reason he was playing in rolemaster anyhow). we should probably quit. That, and daylight.